The ClearView Window and Door Company has been serving commercial and residential customers throughout Frederick County for more than 25 years. Custom vinyl replacement windows and steel/fiberglass doors are expertly installed by the professional technicians at ClearView Window and Door Company. For superior insulation and energy savings, we recommend steel/fiberglass doors and vinyl window frames. Many projects involve replacing old drafty windows and doors with energy efficient, maintenance-free models in Frederick, Maryland, Frederick County. 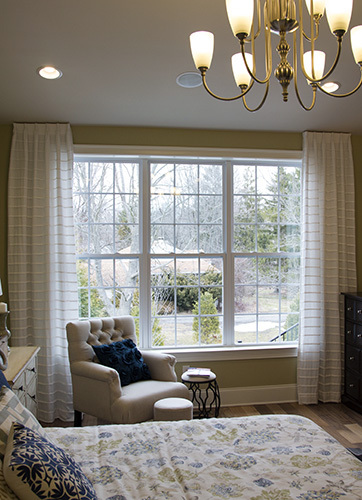 For the most energy efficient windows in Frederick County, you can’t go wrong with Clearview windows. These windows are made from premium components. Some of the cities and towns we serve throughout Frederick County include: Buckeystown, Frederick, Ijamsville, Mount Airy, New Market, Thurmont, Union Bridge, Walkersville.